What’s going on in Texas? SouthStar has seen amazing growth in 2012! We are so happy to have beautiful properties, wonderful owners and great staff. Each of our properties is unique and has something different to offer but one thing we have in common is celebrations! We love to have a good time, help our community and enjoy our beautiful properties. Below is a list of events that happened on our properties and this year. Don’t worry, there are still a few you can do! Start planning your custom-built dream home with summer savings going on now. The weather was dreary and cool but the mood was warm and bright. Football fans from all over gathered at Gerald J. Ford Stadium to watch The Army Knights play the SMU Mustangs in the Bell Helicopter Armed Forces Bowl. They came to see a football game (and what a great game it was), but what they didn't know was they were going to experience the joy of watching the gracious family of a wounded war veteran receive a new, mortgage-free, custom home at The Bridges at Preston Crossings. Southstar Communities realizes the importance that many people associate with the quality of life they can enjoy from living on the greens. Bluegreen Golf is well-known in the real estate industry for planning and building some of the finest golfing communities. We understand that both men and women love to play, and that players bring many different levels of expertise to their game. So we strive to develop each of our properties both to challenge and to entertain golfers of every interest and ability. A company called BestPlaces.net published its latest study this week, which ranked the top 10 cities to move to. The company considers several factors, including population, crime, cost of living and job market.Fort Worth and Austin, Texas placed among the top 10 cities listed. For over 40 years, Southstar Communities has been committed to responsible land use, environmental protection, and the conservation of its communities to ensure that they will be enjoyed for generations to come. 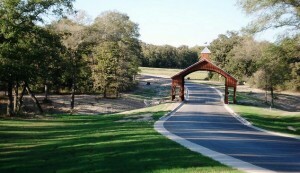 The Chapel Ridge community in particular has set a new standard of commitment towards that philosophy. The stunning golf course community, located near Chapel Hill, North Carolina, is currently certified in several categories of the Audubon International's Cooperative Sanctuary for Golf Courses program. Chapel Ridge also boasts a wildlife habitat, “no spray” mandates around wetland areas to reduce harmful chemical use, as well as a storm water runoff management system to help eliminate pollution. While some developers try to squeeze every inch of space, Chapel Ridge has over 40 percent open, non-disturbed space, which not only makes for a more beautiful community, but also reduces environmental stress. Currently, there are five brand-new, featured homesites at Chapel Ridge that offer up to 3+ acres with expansive boundaries. Priced from $49,900, these sites are available with limited-time finance options and closing specials, with some of the largest acreage available in the Chapel Hill area.